We’ve written about the benefits of swings before and we’ll happily write about them again. 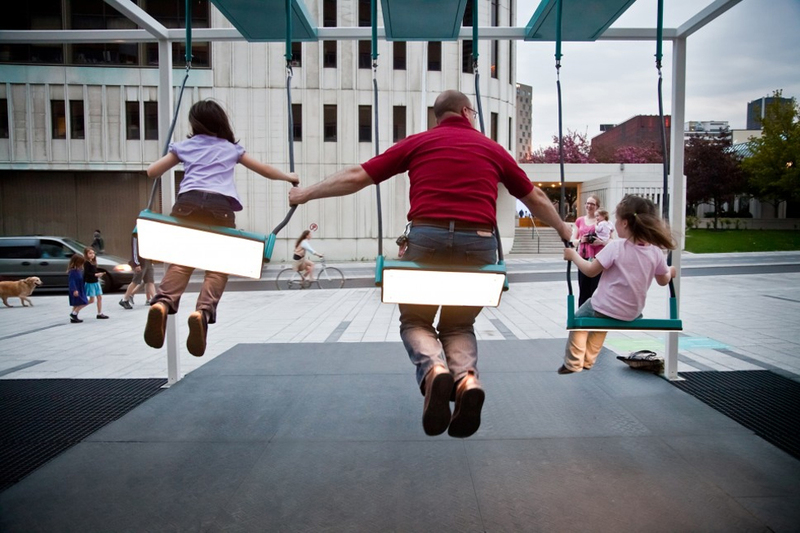 21 Swings isn’t as straightforward as it sounds – yes, there are 21 swings but they’re also musical. We know, right? When in motion each swing triggers different notes, and when used simultaneously the swings create a musical composition in which melodies emerge through cooperation.